(2) Argentinian by Rebecca Brett. 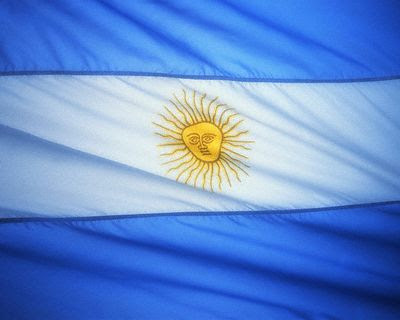 Argentina is famous for Evita, delicious red wine, hot muscular polo players, the tango, Che Guevara, cheating footballers and (who knew?) Chris De Burgh, who was born there. But the second largest country in South America is most memorable for its love of beef. It’s time to forget the ‘hand of god’ issue of 1986, if there’s one thing we can forgive Argentina for, it’s for bringing their love of steak to us via many wonderful restaurants in London. If you’re going to celebrate Argentina for all it’s worth then it’s probably best you don’t take along your veggie/vegan friend, as menus are crammed with delicious hunks of meat and sometimes served by delicious hunks of meat too. So, in that case, leave your boy/girlfriend at home as well. With more than 10 restaurants in London, the Gaucho grill chain is the most well-known establishment on the list. Whether you tuck in to a quick bite before going to see a show at the O2 Gaucho or relax on the river at Gaucho Richmond, there are plenty of them dotted around London. 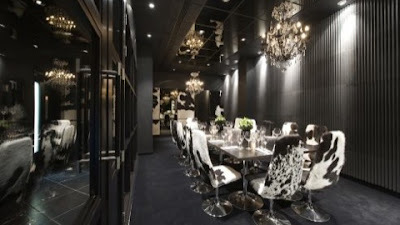 Cowhide chairs make a splash in the sleek and modern interiors but what really gets the senses going are the many cuts of meat and fine wine. Santa Maria Del Sur, a small restaurant in Battersea, was put on the map when it was crowned ‘Best Local restaurant for the Americas’ by his royal foodiness, Gordon Ramsay, on the F Word. Thousands flocked to the south west to eat what Ramsay described as ‘the best steak I have ever eaten’ and it seems they’re still flocking. If you want to go, be sure to book in advance; there can be a six week wait for prime time dining. Once you get in, be sure to share the mixed grill for two; a platter of traditional Argentinean meats. Casa Malevo, a fairly new entrant on the Argentine scene is situated in the up-and-coming Connaught Village, just north of Hyde Park. Keen to impress, Casa Malevo serves lazy brunches of eggs with chorizo and Provolone cheese or, of course, premium meat cuts, served up until 3pm every weekend. For bargain hunters there’s a prix fixe menu Monday to Friday with two courses at £14.99 and three courses for just £16.99. But the best thing is the red wine which I happily sampled on the opening night back in October. As I said earlier the Argentines sure know their wine and if you can’t get enough of it, then you can take it home with you at retail price! Image courtesy of Flickr user ♣ ℓ u m i è r e ♣.